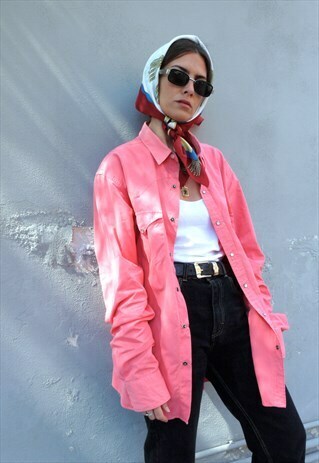 Vintage Polo Ralph Lauren Pink Shirt. Perfect vintage condition. Size on label: L. Model is EU S. Please click "Sizing & Care' for exact measurements. ORDERS: Please include your mobile number within your shipping details to receive text updates on your parcel.